Most healthy adults can potentially meet all their vitamin needs by maintaining a healthy diet that emphasizes fresh fruits and vegetables, low-fat dairy products and proteins and whole grains. However, multivitamins can provide a sort of "insurance policy" against nutrition deficiency, according to the Harvard University School of Public Health. Taking vitamin supplements in capsule, chewable or liquid form is a convenient way to supplement your diet; however, vitamin supplements also have potential disadvantages, especially when taken in excessive doses. If you are a strict vegan or suffer from a medical condition that requires specific dietary limitations, taking a multivitamin can provide vital supplemental nutrients for your diet. Taking a multivitamin may also be advisable if you are anorexic, bulimic or just an overly picky eater. Nonetheless, it is important to gain as much nutrition as you can from your meals. Taking dietary supplements can make up for deficiencies in specific nutrients; however, vitamins cannot provide the calories you need to maintain basic functioning, and they cannot completely replace food. Manufacturers offer vitamins and supplements that are supposedly formulated to promote hair growth; relieve joint stiffness, pain and swelling due to arthritis; ease the symptoms of depression; and prepare a woman's body for a healthy pregnancy. Women, men, children and seniors each have a choice of several multivitamin brands. Taking a multivitamin each day in addition to eating a healthy diet is an inexpensive way to help insure that you receive proper nutrition, the Harvard University School of Public Health states. In some instances, taking vitamin supplements can trigger a health condition or make an existing health condition worse. Vitamin supplements may contain aspartame, which can cause problems if you suffer from phenylketonuria, or PKU. You should consult with a physician before taking a vitamin supplement if you have kidney disease, the University of Maryland Medical Center warns. If you are a smoker, taking beta carotene can increase your chances of contracting lung cancer, the Mayo Clinic states. Taking a multivitamin can help alleviate symptoms of fatigue caused by vitamin deficiencies or general poor diet; however, fatigue can be a signal for serious conditions such as thyroid malfunction, anemia or depression, Medline Plus states. If you don't start feeling better within a few days, try another formula, Diets.com states. Seeing a doctor is also advisable. 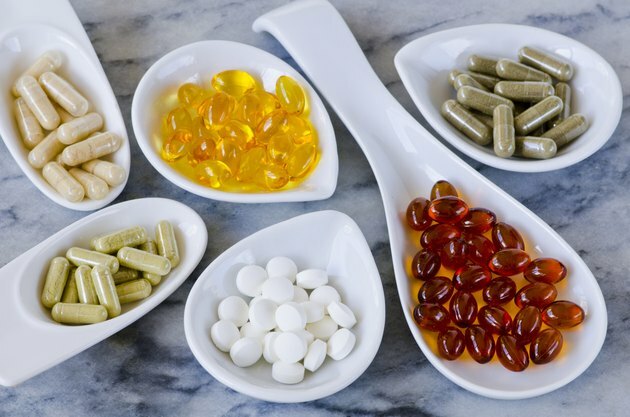 Do not exceed the recommended dosage for vitamin supplements; certain substances can accumulate in your body and cause adverse effects, according to the University of Maryland Medical Center. Supplements that contain more than 1,000 mg of vitamin E are not considered safe, according to the Harvard University School of Public Health. Taking more than 4,000 International Units, or IUs, of retinol can be toxic, the Diet Channel states. If you take a multivitamin, be careful about the dosage of supplements for individual nutrients or you may accidentally overdose on certain vitamins, Diet.com states. Will Taking a Multivitamin Daily Give Me Energy?